Kyra Lennon’s Reasonable Doubts, without doubt! Huge congratulations to Kyra Lennon, whose new book, Reasonable Doubts, hits the shelves, Kindles and all other ereaders today! I’m so excited to be taking part in the release blitz – don’t you just love it when you see your blogger friends featured all over your favourite blogs! Blurb: Darcy Ryan is a woman on a mission. A mission to take down the corrupt cops who ensured her best friend, Matteo Torres, went to jail for a crime he didn’t commit – the murder of his wife, Rebecca. Darcy is willing to do just about anything to prove his innocence, including getting up close and personal with lead detective, Finn Drake. She knows she’s playing a dangerous game, but it gets more dangerous than she could have ever imagined when she discovers everything she thought she knew about Rebecca Torres was wrong, and Finn Drake isn’t the man she thought he was either. Darcy’s life and her best friend’s freedom are on the line. With her entire world turned on its head and time running out, she has to decide. Should she take a chance on Drake and go against her gut instincts, or go it alone and pray she can find the killer before he finds her? 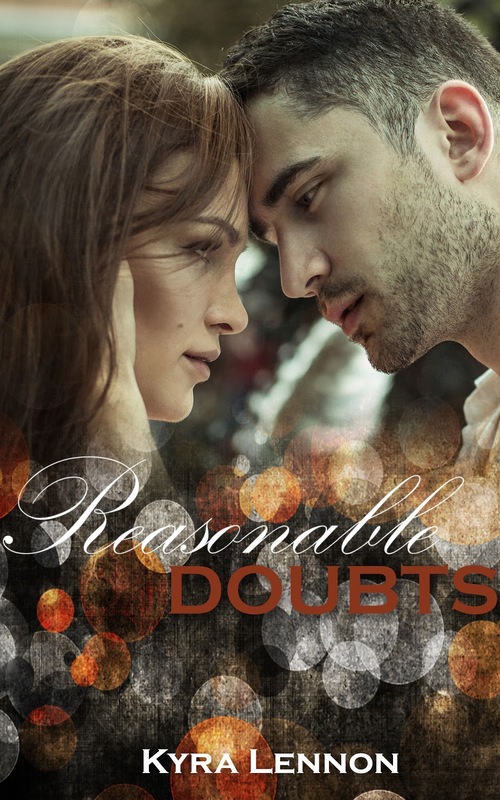 Author Annalisa CrawfordPosted on 15 August, 2017 15 August, 2017 Categories BooksTags authors, fiction, Kyra Lennon, new release9 Comments on Kyra Lennon’s Reasonable Doubts, without doubt! Welcome to my blog, Kyra – tell me a little bit about yourself. Hello! I’m Kyra Lennon and I live in the South West of England. I write contemporary romance, mostly of the fluffy variety, and when I’m not doing that, you’ll probably find me trawling the British countryside, looking for pretty things to take photos of! The idea for the anthology came about as several of my friends live with cluster headaches. One of them has them extremely severely at times, and after finding out more about what he goes through – because it’s more than just intense pain – I discovered that shockingly little is known about cluster headaches. Most people have never even heard of them. There is not yet a cure for them, and while there are some medications available, they aren’t as effective as they would be with further research. That was what triggered me into action. I want to help raise money so more research can be done to help those who suffer so much. Haha, that was a fun process! 90s Britpop is like a step back in time to my teen years, and reminding myself of how many amazing songs there were back then was super cool! Choosing the right title was a matter of listing my favourites and slowly whittling them down until I had one that I felt I could work with. I settled on Come Back To What You Know (Embrace) but my finalists included Hush by Kulashaker, The Day We Caught The Train by Ocean Colour Scene, and Do You Remember The First Time by Pulp. I struggle to write short stories, and it turned out my plot was a tad too long to fit into the word count limit. I think (hope) I made it work, but it was hard as I wanted to make sure the emotion came across and made sense. The idea for the story itself came – as it so often does with me – from a situation I was in a very long time ago, but the plot was severely altered for dramatic purposes. Being able to write about things I am not brave enough to do in real life! Ha, I don’t do thinking that far ahead, but I would love to see myself on a bestseller list at some point in the next five years! Kyra is a self-confessed book-a-holic, and has been since she first learned to read. When she’s not reading, you’ll usually find her hanging out in coffee shops with her trusty laptop and/or her friends, or girling it up at the nearest shopping mall. Lennon is a proud supporter of several charities. She currently volunteers for her local cat shelter as a fundraiser and social media guru. Kyra has also had stories published in charity anthologies to raise money for Cats Protection, the British Heart Foundation, and the Innocence Project. Kyra grew up on the South Coast of England and refuses to move away from the seaside which provides massive inspiration for her novels.